rating: 3.5/5 [in the genre] or 6/10 [all books I’ve ever read]. recommended for: Fans of H.G. Wells (The Time Machine), Doctor Who, or clever, character-focused science-fiction. Cold. Confusion. Fear. This is how it all begins. Waking up without your memory in a cell and bound by chains is terrifying. Two nameless strangers, a man and a woman, find themselves imprisoned together. With no memories of their own identities, let alone their captor and tormentor, escape is the only option. The pair faces a bizarre labyrinth of rooms and clues that confuse more than they explain. Every discovery only brings more questions. Who captured them? Why were they taken? What does their captor want from them? What can the riddles mean? Who are they? Lacking allies and options, the duo must learn to trust one another. Mazes, puzzles, and even strange, lurking creatures force them to rely on their wits--and each other--for survival. But survival isn’t enough. They need answers. Will the answers be enough? Will the truth bring them closer together, or drive them forever apart? 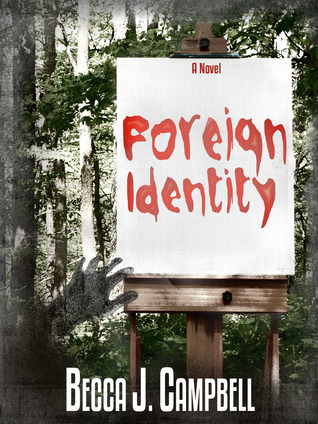 Will discovering their identities finally bring them home? This felt at times like reading two books. The first part felt a little rushed. It was good, entertaining, but not great. The second part was pretty great. Once you hit the twist (which made me go OH MY GOD THAT'S SO COOL AND CLEVER) you can really see the genius that made Gateway to Reality such a unique read. When it comes to sci-fi, Campbell has a mind fit to write Doctor Who. What I wanted more of was characterization and building-up. The first part goes so fast that I'm left to assume a lot of things about the characters and take their word for what they say they feel, rather than watching it develop. When Campbell slows down in the second half, I felt much more involved and could really feel connected. Overall, it's a light read with a pretty awesome concept. Again, there was a split for me. The first few chapters were great. I liked watching the Jax and Kel figure out their weird prison and encounter all of the creepy rooms. I thought they were a little thin, though, as it went on. A lot of time went out the window. Two weeks were gone. I didn't get to see them interacting, bonding, developing the feelings that are so strongly portrayed later. Then comes the turning point. Once we hit the twist, it's strong, tight pacing and some really exciting twists and turns. There's plenty to love about this book and it's a quick, fun read, but I wish Campbell had slowed down in the beginning and established the characters more firmly. I honestly love the concept. It was the selling-point of this book, for me. Campbell may need to grow in some areas, but she kills when it comes to unique sci-fi concepts. I don't want to give it all away, but let's say it's a blow-your-mind twist. It has flavors of H.G. Wells' The Time Machine but I can honestly say I've never encountered something like it before. I wasn't thrilled about the characters, at least at times. What bothered me was that Jax was incredibly capable and had a variety of useful talents, while Kel seemed pretty stereotypical damsel-in-distress. Your typical savior-man, weak woman. This wasn't always the case, to be fair. There were times when Kel felt stronger and I could see Jax's flaws, especially in the second half. I liked them more as I got to know them, which is important because you really need to care about them to appreciate this story. Like my comments on other aspects, I think they were more strongly portrayed in the second part. However, I do think I'm nitpicky on this and I can see other readers connecting with them immediately. What didn't work for me was how quickly they developed certain feelings and traits and how quickly their confusion dissipated. I wanted more in that first part to make them feel as real as they did in the second part. Clean and concise, for the most part. Campbell has a way of creating lush descriptions that stick you right into the story. What I didn't like was the character voice. Campbell's use of voice in Gateway to Reality was so spot-on that I found myself wanting more here. Jax and Kel seemed pretty generic at times as far as voice, and some of their dialogue and internal monologue struck me as typical. Typical stock phrases, especially with the romantic scenes. However, get into the sci-fi part with the wave creatures and suddenly it's vibrant. I think Kel's diary was some of her strongest voice. The polishing was great. Nothing to complain about. The length was my only issue. As mentioned, I would have liked much more meat in the first part to support the very cool second part. A clever science-fiction that draws from H.G. Wells and your classic thriller/mystery. Note: I received this copy from the author in exchange for a review. The price of the book and its origin in no way affected my stated opinions.